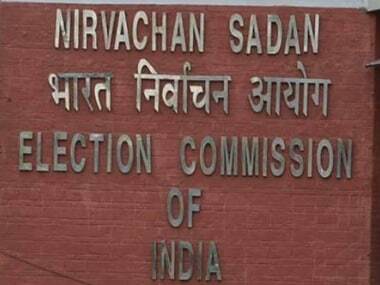 On 10 April, the Election Commission of India (ECI) issued a landmark order banning the display of any “biography/hagiography sub-serving the purposes of any political entity or any individual entity connected to it, which is intended to, or which has the potential to disturb the level playing field during the elections…”. This order is welcome at a time when the ECI has come under heavy criticism for acting in a partisan manner. The poll body, exercising its wide-ranging powers under Article 324, decided that it was necessary to take this step, as it felt that “there was an emergent need for intervention…for ensuring a level playing field.” Immediately after the order was issued, it was evident that the order was directed, in addition to two other biopics, towards the biopic PM Narendra Modi, originally slated to release on 11 April. The commission also addressed a letter to the producers of the biopic, directing them to take cognisance of the order and to comply with it. But a day after after this order was released, the commission proceeded to take action against the hotly debated NaMo TV. In a letter addressed to the Chief Electoral Officer (CEO) of NCT of Delhi, the commission directed the removal of all unauthorised political content being displayed on the channel, since there was no pre-certification of such content. In a previous opinion piece on this issue, it was argued that NaMo TV is illegal under both the law on broadcasting and the law on elections. For the purposes of a brief recap, we must remember the stance taken by the Ministry of Information & Broadcasting (MIB) that NaMo TV is an “advertisement platform”, and not a “channel”. The legal effect of this was that NaMo TV did not require a licence from the MIB to be able to broadcast content. Importantly, this was not the only legal workaround that was available for NaMo TV in order to evade the necessity for an MIB licence. It has been reported that in addition to an advertising platform, the MIB has also termed NaMo TV as a “platform service”. A 2014 TRAI Consultation Paper proposes to defines a “platform service” as “programs transmitted by Distribution Platform Operators (DPOs) exclusively to their own subscribers and does not include Doordarshan channels and TV channels permitted under downlinking guidelines.” It is important to note that this document is a consultation paper, and not a statutory instrument. Thus, a host of regulatory suggestions mooted in this consultation paper (including placing restrictions on the content displayed on platform services in order to prevent infringement of the domain of regular channels), have no legal value. Thus, if NaMo TV is indeed a platform service, then it falls into a wholly unregulated area. Two points must be noted here. First, this letter assumes that NaMo TV is “sponsored by a political party”. This has indeed been confirmed by the BJP, which has acknowledged that NaMo TV is run by its own IT Cell. Second, and more importantly, this letter brings NaMo TV within the purview of the “commission’s Order…dated 15th April 2004”. It must be noted here that this order, which established the requirement of certification from the ECI for advertisements with political content, only mandates such certification for “any advertisement to be inserted in a television channel or cable network”. 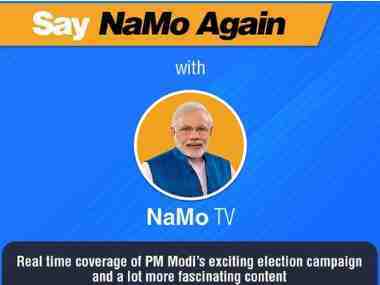 If NaMo TV is either an advertisement platform or a platform service, then it does not come under the purview of “television channel or cable network”. It might be argued, therefore, that the ECI’s letter wrongly brought NaMo TV under the regime of the 2004 order. Aside from being purely academic, this argument is misconceived. The directions issued by the ECI under the 2004 Order and the April 11 Letter both derive authority from Article 324 of the Constitution, which bestows wide-ranging powers to the Commission for “superintendence, directions and control of elections”, so that it can create a level playing field. So to argue that the letter is ultra vires the Order as it exceeds the scope envisaged by the latter is incorrect. This is because even if the letter does indeed exceed the permissible scope of the Order, it can be treated as a standalone set of directions, deriving legal validity under Article 324. For the purposes of reconciliation, it can be said that the letter extends the scope of application of the Order to advertising platforms/platform services. Thus, NaMo TV must comply with the requirement of pre-certification if it wants to air political content. That there is no legal/regulatory framework governing the operation of platform services is irrelevant. This is because in its decision in A.C. Jose v Sivan Pillai, (1984) 2 SCC 656, which holds the field in as far as limitations on the powers of the ECI are concerned, the apex court held: “when there is no parliamentary legislation or rule made under the said legislation, the Commission is free to pass any orders in respect of the conduct of elections…”. Thus, the commission is empowered to issue orders relating to a subject (in this case, NaMo TV) which falls in a regulatory vacuum. It may be contented that since NaMo TV is designed to carry exclusively political content, the directions issued under this letter effectively strips the platform of its ability (or for that matter, its right) to display any content at all. This is incorrect. The step taken by the ECI merely places an encumbrance on the platform’s ability to air content. This encumbrance is intended to effectuate the conduct of ‘free and fair elections’, which has been held by the Supreme Court to be part of the basic structure of the Constitution. Thus, it is undoubtedly a ‘reasonable restriction’ imposed on the right to freedom of speech and expression of the owners of NaMo TV. 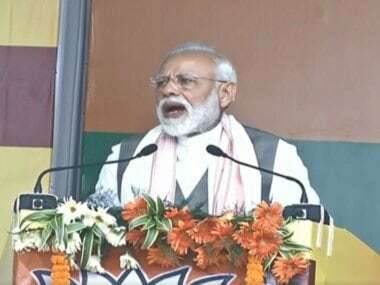 However, it has been reported that even this morning, the channel was broadcasting a live telecast of Modi’s speech at a rally in Maharashtra. It is impossible that this live speech obtained certification from the ECI as envisaged under the Order, as this requires the platform to have sent the content it wishes to broadcast to the Commission for approval prior to the actual broadcast. In this regard, it is important to note that the 2004 order also enables the Election Commission, in case of a violation, to “issue an order to the violator to forthwith stop such violations”, and also enables it to directly seize the equipment being used by the violator. In a matter concerning a subject as delicate as elections, however, retrospective action has little value. This is because the offending content will have (and probably already has) achieved its intended object, ie, to influence the voter. This transgression on the part of the ruling party is unfortunate. But the strong step taken by the commission is a positive move, and one can only hope that until polling continues, the watchdog continues to fulfill its mandate of conducting truly free and fair elections. The author is a student at NLSIU, Bangalore. He is the founding editor of Law School Policy Review.